There is nothing better than fresh vegetables in a Pork Rice Bowl and they are even better with Teriyaki sauce. 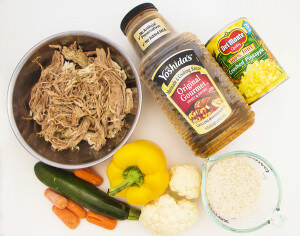 The base ingredient of Shredded Pork is heaven sent when you don’t want to cook or heat up the kitchen. Add your favorite fresh vegetables and you will have a delicious dinner everyone can enjoy. Take the time to choose what vegetables you prefer, for me we love carrots, cauliflower and bell peppers and who doesn’t love zucchini? You can add whatever your taste buds desire to this rice bowl. For a quick and easy Teriyaki sauce, I love Yoshida’s Gourmet Sweet and Savory sauce. A bottle this size will last me months if kept in the refrigerator. This all in one meal is perfect for any night of the week. 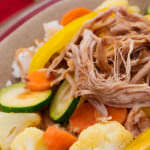 The pulled pork sweetened in Teriyaki sauce and fresh vegetables will be your new favorite meal! 1/2 cup Teriyaki Sauce I prefer Yoshida but any Teriyaki sauce variety will work! 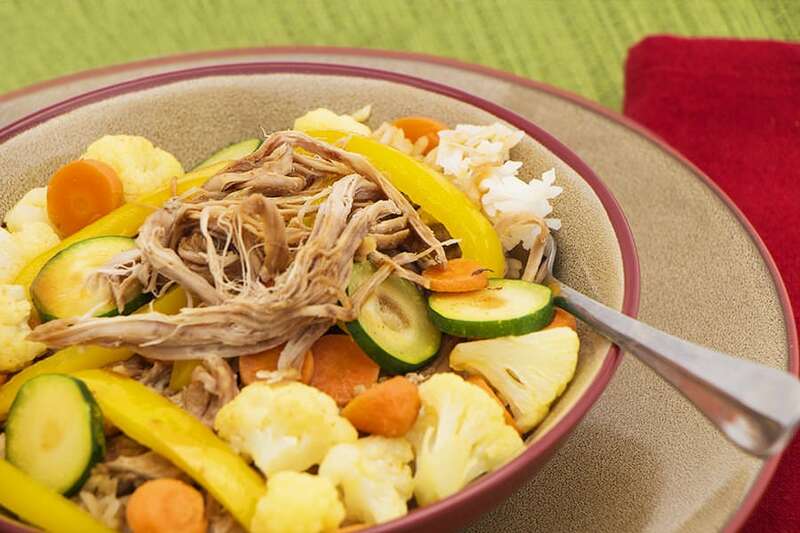 Mix shredded pork with Teriyaki sauce and ginger. Warm in microwave on over medium heat. In a separate pan steam washed and sliced vegetables until desired softness. Add steamed veggies to pork mixture. Rice can be made on the stove top or in a rice cooker. The ratio is always 2 cups liquid to 1 part rice. Add a dash of salt, it just helps. Bring rice and water to a boil over medium/high heat. Once the mixture boils, turn heat to low and cover pan with lid. Let sit for 30 minutes. What a great idea for an all in one meal! Can’t wait to try it! All in one meals are great. We love Pork Rice bowls…delicious! This is so easy and delicious that we had it for a family birthday dinner. I like to prepare the pork a head of time so that dinner is ready in a snap. This is a great idea! 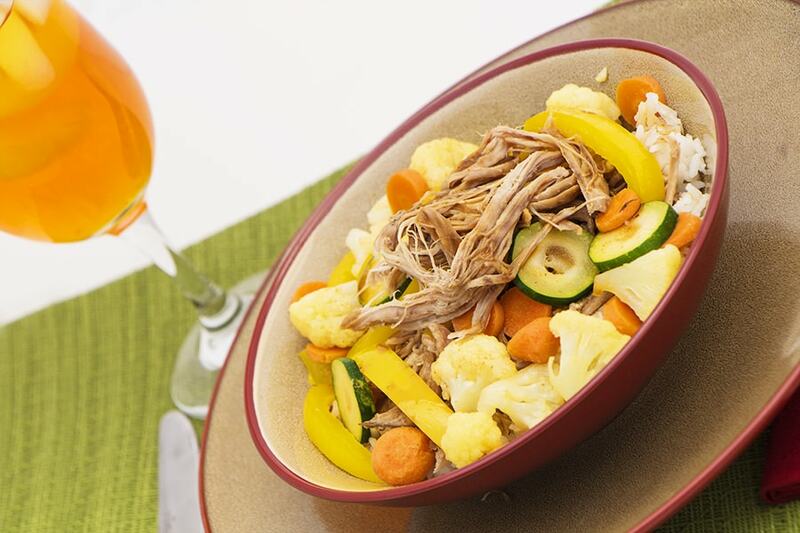 It was so easy to make with the shredded pork I put in the slow cooker before I left for work. Dinner time was seamless and so delicious!